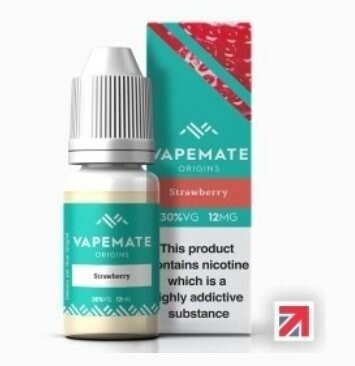 Vapemate Strawberry e-Liquid | Electronic Cigarette Co.
Order 5 or more of the same product and save money! Bulk prices will automatically update. 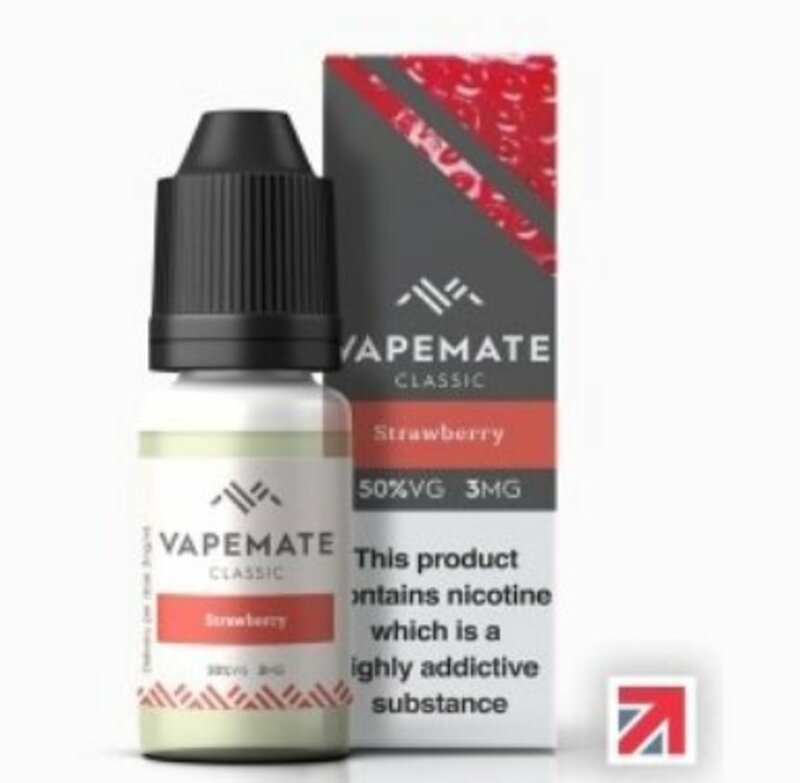 Vapemate's strawberry flavour e-liquid is very fruity and makes an ideal all-day vape. This is a 50% VG e-liquid blend designed for standard coils with a resistance of 1.0Ω through to 1.8Ω, as a guide. The Ω is often written on the heating coil inside your tank if you're not sure. Some 50% VG blends also work well with sub-Ohm coils but it's trial an error and will depend on your coil. 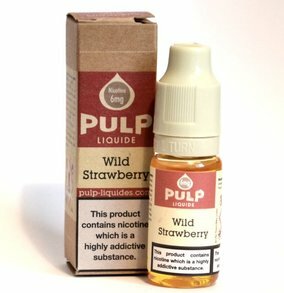 This juice blend will usually provide a medium amount of vapour but less flavour if you're not able to vary the power output on your device, so if you have a 1.8Ω coil in your tank (for example), you may want to consider a 70% PG blend which will usually provide more flavour but less vapour. See our page e-liquid blends if you want to learn more about thicknesses and PG / VG ratios. This will also explain about the nicotine strengths, vapour production and throat hit. 1 x 10ml Vapemate Strawberry e-Liquid. If we're out of stock of a particular strength, say 12mg, remember you can blend two different strengths together. Ie, the same amount of 6mg with the same amount of 18mg makes 12mg. What we mean is, if you mix them 50/50 in your tank you will have 12mg. Just remember to put the weakest strength in first. Sometimes people think the seals are broken when they're not and some brands cause more confusion that others. The seal parts aren't connected to the cap, the cap usually moves independently, the seal parts are attached to the part underneath the cap and you have to look very carefully sometimes to check whether it's intact or not. When the cap is sufficiently pushed down and turned the seal breaks. Some brands use bottle types that have a lower seal ring so there is a gap between the ring and the cap. Sometimes you will hear the seals break and other times you won't. Please note, for smaller orders we send the bottles without their individual boxes (if they have boxes) to avoid having to charge you additional shipping of about £2.50 for a 'small parcel' with Royal Mail. Anything over 25mm in the packet is a small parcel. Plus, we get to spot the leaking bottles before you do!